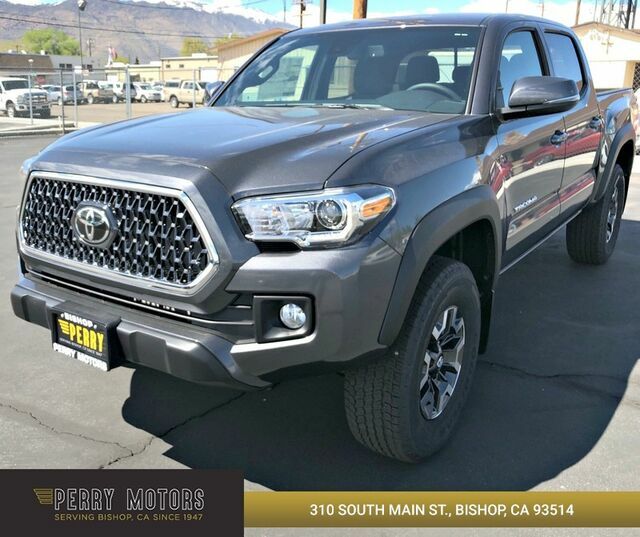 This 2019 Toyota Tacoma 4WD TRD Off Road is proudly offered by Perry Motors This Toyota includes: BED MAT (PPO) 50 STATE EMISSIONS ALL WEATHER FLOOR LINER Floor Mats TECHNOLOGY PACKAGE Rear Parking Aid Blind Spot Monitor Cross-Traffic Alert MUDGUARDS (PPO) TRD OFF ROAD PACKAGE Smart Device Integration DOOR EDGE GUARDS (PPO) *Note - For third party subscriptions or services, please contact the dealer for more information. * Want to brave the road less traveled? You'll have the 4WD capabilities to do it with this vehicle. The look is unmistakably Toyota, the smooth contours and cutting-edge technology of this Toyota Tacoma 4WD TRD Off Road will definitely turn heads. You can finally stop searching... You've found the one you've been looking for.